Use peppers conducive to cutting lengthwise and stuffing, think jalapeno, cherry pepper like that. Cut in half stem to blossom end. Check for heat level, if they are too hot, soak in vodka or other alcohol for 10-30 min till they mellow out. The heat goes to the alcohol, use caution if you want to sample it. Chop bacon and rosemary and mix with cream cheese, fill pepper halves with mix, and place in baking pan, cook till done, somewhere around 8-10 min. They are best if pepper is not too floppy. Easy prep tip, bake the bacon in the same baking dish as you will bake the peppers. I usually do bacon at 425, and fork it around 3-4 times while its cooking in the oven. Never any left overs of this one. Is this one hot enough? Did you have to put it on that lid so it wouldn't leave a burn mark on the wood? I don't understand the super-hot thing. I dont know either but I can say the more you eat hot peppers the more you seem to get used to them. In my line of thinking about cooking with peppers is there are reasons for each. You can use a lot of milder peppers in foods that are pepper based. Then there are other foods you cook that are based on other flavors besides peppers. Maybe you dont even want the food to taste like peppers at all but want a little heat. This is where the hotter peppers shine through in small amounts. Me personally I dont want to scald my tongue and lips off every time I take a bite it ruins the food and dinning experience. On a side note I absolutely abhor those nasty spicy french fries the make. Mr Nematode I always forget about what you guys may or may not have tried depending on where you live. 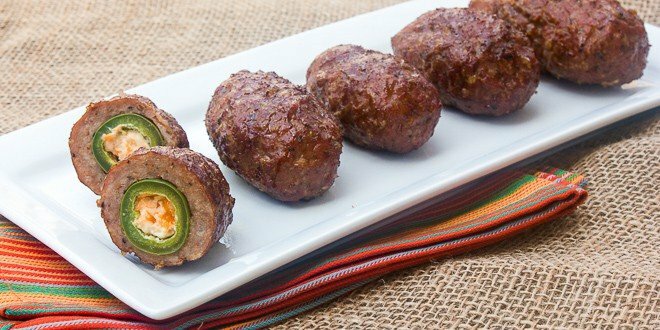 Have you ever heard of an armadillo egg? There are many ways to make them with peppers. I think you would like them. Here is a pictuer of an example of an armadillo egg. That looks like a winning combo. Never tried 'em. No Armadillos up here. I have a Fatali plant on my porch with a few ripe pods. I think I will take them to market and label them "African Death Pepper." I also have a White Bullet Habanero in my garden that is the biggest pepper plant I have ever grown. It is chest-high already, and covered in peppers, which I really have no idea what to do with. 8) They make dandy Halloween "candies"
I just read this the other day. Interesting I didn't know it. For those that dont want to click in the link they found the habanero in Peru dated 8,500 years old. Fatalii is wonderful in citrus-heavy dishes like ceviche and guacamole. Don't forget the olive oil trick when handling them, though. They're not a true super-hot, but at 250,000-350,000 SHU they do bite. Fatalii is a great pepper for your mouth to learn, too. There's a zen-like discipline required to enjoy a really hot pepper. "Oh, it's just pain. It will go away soon." White Bullet Habanero ... which I really have no idea what to do with. Fermenting is a good use, as suggested. Or just make a mash. Seed (optional for you but not for me), chop in a food processor, add salt and cider vinegar to get the acidity up, maybe lemon juice or water, bring to a boil, pour into a sterile jar and lid. It's not shelf-safe, but I have some mash that I use as a general "spice things up" additive that has been in the fridge for three years. Or just freeze. (I seed and filet first.) Doesn't keep as long as mash, but useful. Or best of all, send a pound or so to me. Thanks for the link, and the suggestions. On an academic side note, that trademark claim of theirs is pretty weak. The rule about colors is that they are too generic to trademark, so "Bullet" is the only word they can lay a trademark claim to. If they didn't register the mark, they would only get regional protection anyway. The burden would be on them to prove that the name of one of their products deserved the same trademark protection as their business name...and I think they'd lose, not that anyone would ever pay a lawyer $25K to argue this case, anyway. Ferment them for about two weeks and then make a sweet vinegar brine like they do the Peppadews. People will gobble them up. Very good on hamburgers and as a side nibbler for steaks.